Suitable For All Levels With A Yin/Yang Flow Held Friday Evening On Our Beautiful Property Located Along The Picturesque Laurel Run Stream. * (Moved Indoors If Weather Dictates) Hosted By Yoga Instructor Joleen Gai, RYT200. 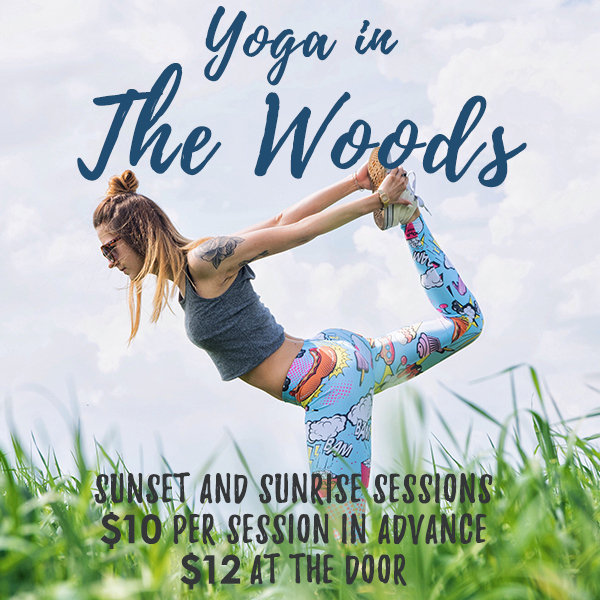 Outdoor Sunrise Yoga Session Suitable For All Levels With An Energizing Flow Held Saturday Morning Along The Picturesque Laurel Run Stream. * (Moved Indoors If Weather Dictates) Hosted By Yoga Instructor Joleen Gai, RYT200.